Escudella. 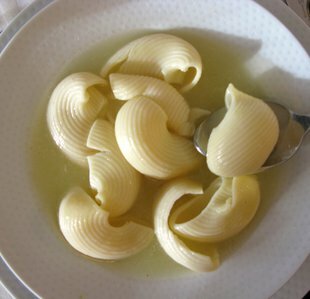 This is the renowned broth with pasta shells, which are often gargantuan in size, served around the country at Christmastime. Although in times gone by the shells were often stuffed with meat, nowadays it’s more common to find them without the stuffing Arxiu. Roast turkey. The UK and US share the Christmas dining tradition of serving roast turkey on Christmas Day, although it’s not quite as common in North American households because it’s the dish that traditionally accompanies Thanksgiving a month earlier. The meat is commonly served with different types of sauce, including cranberry sauce and onion gravy. Arxiu. Carn d’olla. 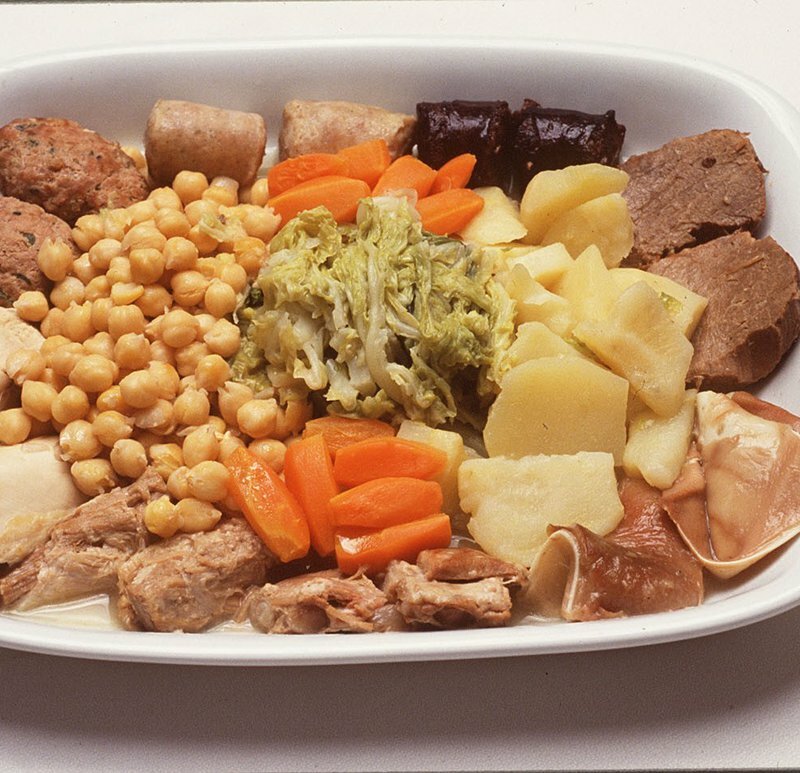 Literally “meat from a pot”, this dish comprises the most widespread Christmas lunch tradition in Catalonia, with its assortment of different types and cuts of meat combined with root vegetables and chickpeas. Not for your vegetarians or vegans, but a hearty meal to herald the start of the really cold weather. Arxiu. 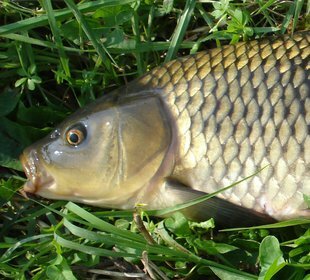 Carp. Serving up fish for lunch is one of the less common Christmas traditions, but quite common in Germany and countries of eastern Europe, where a carp can be found on the table in many households on Christmas Eve. 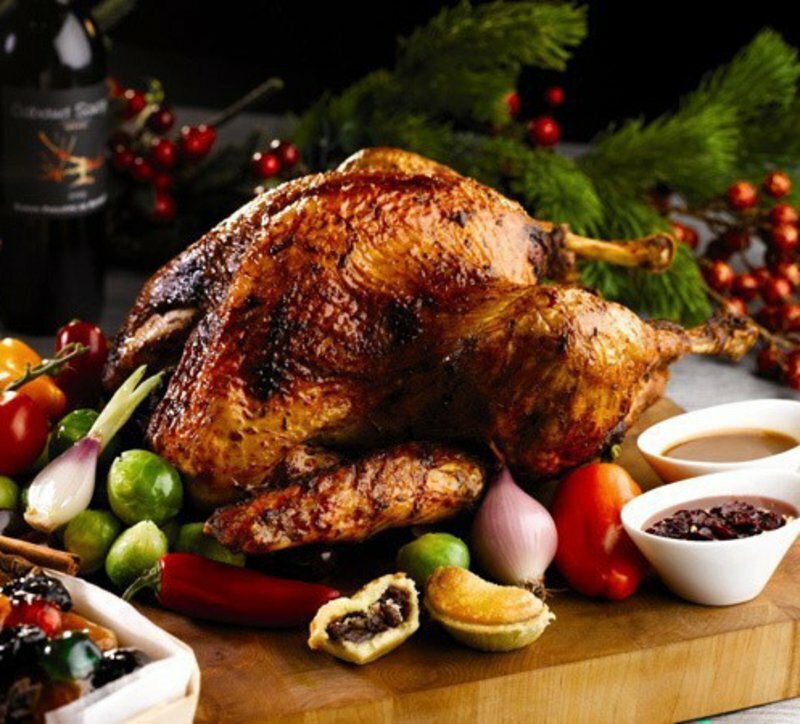 As for the day itself, many German families will follow the western tradition of a roast bird, though in this case more likely goose than turkey. Arxiu. Let’s start at home. Here in Catalonia we find escudella (a hearty broth with pasta shells, which were traditionally stuffed with meat) and carn d’olla. 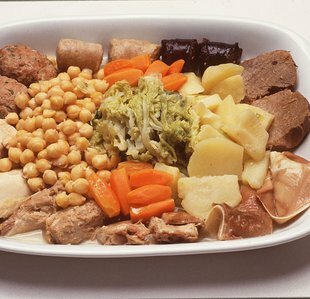 This feast typically includes some or all of the following ingredients, which have been boiled in the broth: beef ribs, lamb ribs, butifarra (Catalan sausage), blood sausage, bacon, veal, boned ham, chicken, potatoes, carrots, chorizo, celery, radish, leek, and a handful of chick peas. Some families will have stuffed chicken (versions of which we will also find in other cultures) or seafood, such as prawns, as a main course. For dessert there are the perennial torrons (family-sized bars of either different varieties of chocolate or nougat) and neules (wafers, in various forms). And that’s only on December 25, let’s not get started on other days such as Christmas Eve, Boxing Day or January 6. In my native culture of the UK, the Christmas Day meal traditionally comprises a stuffed turkey (told you). And you will often hear the accompanying phrase “with all the trimmings”, which refers to all the things you traditionally eat with Christmas roast turkey: cranberry sauce, gravy, stuffing,... the list goes on and on, including several types of potatoes (mashed and roasted, at least) carrots, parsnips, sprouts (yum) and bread sauce (don’t ask). Then for dessert the traditional Christmas pudding, which was always lit with brandy in my house and served with fresh cream, because you really needed a few more calories added to the meal. The beloved mince pie is a peculiarity of Christmas in the UK, and a source of confusion for non-native speakers, given that the mincemeat filling the pie in this case is actually a mixture of dried fruits and spices, as opposed to minced meat. You know what I mean, right? From what I’ve been told, the US tends to have a similar main course, although sweet pies and fruitcake seem to play a bigger role when it comes to dessert (the latter being another element we will see in other cultures’ Christmas fare). When I lived in Germany I was surprised to learn that fish, and specifically carp, commonly bedecks the dining table at Christmas, although usually on the 24, with stuffed goose (Weihnachtsgans) a popular main course on Christmas Day. The carp tradition is perhaps even more widespread in countries in eastern and central Europe. For dessert, the Germans do like their stollen (fruitcake, see?) and we can’t mention Germany and Christmas without a nod to both Glühwein (mulled wine in English), which is red wine heated with various spices, and Eiswein, a dessert wine produced from grapes that have been frozen while still on the vine. Sticking to places I have spent some time in, it is fascinating to look at countries that have not traditionally celebrated Christmas due to their not being Christian, and such is the case with Japan, of course. Japan has been heavily influenced by the US since the Second World War, and Christmas provides a peculiar back story in this respect. As it had no tradition when it came to Christmas, opportunistic American consumerism was ready to step in and help out. So in the 1970s, that great testament to healthy eating, Kentucky Fried Chicken, came up with the genius marketing plan of the holiday party bucket. Since then, Japanese families have ordered in advance for Christmas, so ingrained has the KFC Christmas bucket become. And as well as fried chicken, your bucket now comes with a Christmas cake. The Japanese do like their sweets as well, and the traditional wagashi, with flavours such as red bean, burdock root and green tea, are also common at Christmastime.